Jack enjoyed working on lawnmowers, tractors, and chainsaws, and spending time with his family. Jack is survived by his wife of 49 years, Naomi Edington Stone; three sons, Robert Stone of Garrison, Keith Stone (Neka) of Flemingsburg, and Kelly Stone of Morehead; one brother, Donald Stone (Phyllis) of Garrison; and two grandchildren. He also leaves many other family members and friends who will sadly miss him. Services will be at 11:00 a.m. Wednesday, February 13, 2019, at Dickerson Funeral Home in Vanceburg with Bro. Clarence Hall officiating. Burial will follow in Maddy Cemetery at Garrison. 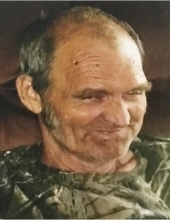 Friends may visit from 9:30 a.m. until 11:00 a.m. Wednesday, February 13, 2019, at Dickerson Funeral Home, 110 West Second Street in Vanceburg.